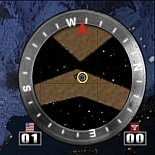 This mod adds a scoreboard to the Enemy Territory map Baserace by Cptn Triscuit. place zz_baserace-scoreboard-ned.pk3 & baserace.pk3 into your etmain folder. Its a race, to build your base! Steal Construction Materials from your enemy's base and secure them at the various 'Capture Pads' located in your team's base. Different capture pads correspond to different base constructions and upgrades. Capture Pads can be used multiple times to upgrade constructions. Additionally, constructions can be 'synergized' by completing combinations of other constructions. The first team to complete 40 constructions or have the most completed when the timer runs out wins! 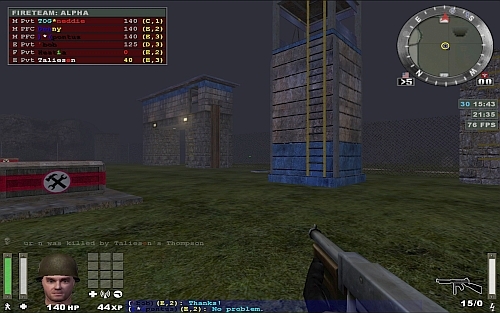 � The original author of the scoreboard mod was RayBan for CTF Face (beta 1). � This adaptaion was further editted to make the "commanding lead" image to show a 'greater than' symbol.